Johnny Turk he was ready, he primed himself well. Then he blew us right back to Australia. 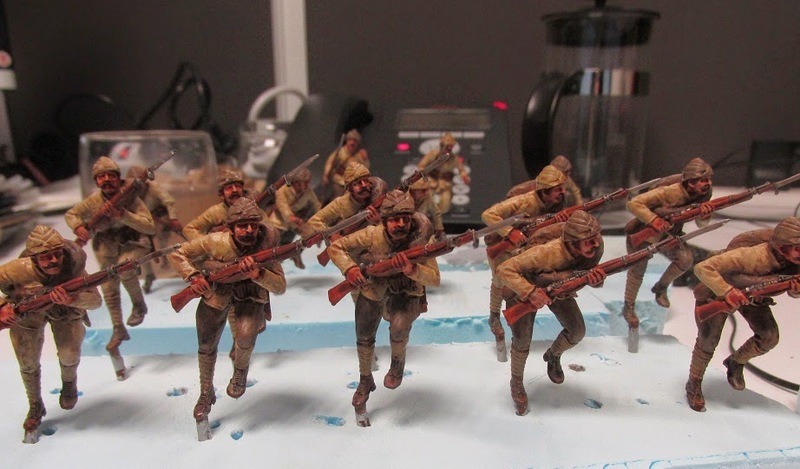 Brian has put up an informative posting on The Woolshed Wargamer blog, describing his experience of painting Turks. Brian also posted about these figures on The Miniatures Page: "I said to my son that when I send this off it will be the last time I see the ones I painted. They will be lost in the vastness of this huge diorama and I will never know which were my work – so in a way they all will be."